Find year-round comfort with Ambience Air, Perth’s multi-award winning air conditioning and heating specialists. Make us your first choice to ensure comfortable living in both winter and summer. Get a quote and take that first step to living well. 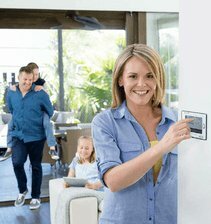 Whether you are looking for a specific air conditioning design to suit your home or office, or want to invest in an air conditioning unit from one of the many big name brands that we sell, just contact us or visit one of our many stores located throughout the greater Perth and southwest regions. Our attention to detail and outstanding customer service, combined with offering the best air conditioners around, has resulted in us winning many Dealer-of-the-Year, Outstanding Sales and special recognition customer service awards. Panasonic – A signature brand boasting the latest Japanese technology and energy-saving efficiency. Fujitsu – Installed in some of the most innovative and unusual building applications, the systems offer incredible design flexibility, efficient control and lower running costs. Fujitsu is Perth’s first choice for ducted reverse cycle air conditioning and wall hung split systems. Samsung – For a great inverter range featuring filtering, energy savings and fine temperature control – these advanced models have it all. Breezair, Braemar, Coolair – For quality evaporative air conditioning systems across Perth. Braemar – Multi-zone ducted gas heating with exceptional temperature controls to warm your home in minutes. We sell a full range of ducted air conditioning units from all major brands. 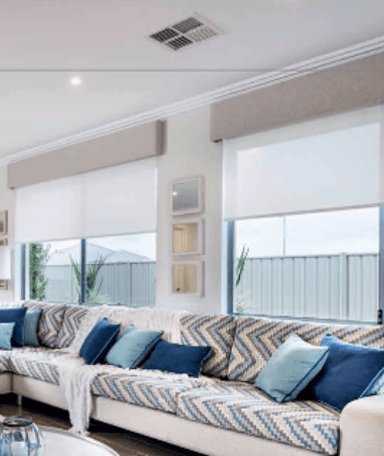 Our ducted evaporative air conditioning systems are kind to the environment, cost effective and will keep you cool throughout WA’s hottest months. These systems distribute water cooled fresh air around your home or office, via roof ducting. This is one of the most affordable ways of staying cool in summer and warm in winter. It allows you to maintain a constant temperature in multiple rooms through a series of ducts and vents in your home. Keep your home comfortable all year round with an energy-efficient, high performance split system air conditioner. Stay warm and snug during those bitter cold nights with a ducted gas heating system. Affordable and effective, your family will thank you over and over again. We also sell a range of wood heaters and gas log fires to add the right ambience and heat to any room. When you are looking for the right ducting components at the right price, look no further than Ambience Air. Our components include advantageair heating and cooling, ezone controller, zone 10 controller and an MyAir controller. Ambience Air operates from seven showrooms (soon to be nine) across the greater Perth metropolitan area and southwest region. Each branch is managed and operated by experienced air conditioning specialists local to the area. Our showrooms are located in Bibra Lake, Joondalup, Midland, Gosnells, Rockingham, Mandurah and Bunbury with new ones soon to be opened in Osborne Park and Clarkson. 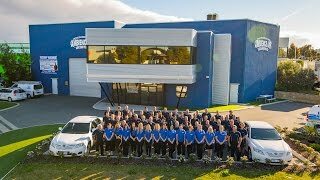 All design engineering, installation scheduling, onsite supervision, warehousing, after-sales service and warranty arrangements are managed from our head office in Bibra Lake. This ensures every installation is subject to the same rigorous procedures and standards of excellence. At Ambience Air, we offer expertise in project consultation, design, manufacture and installation of specialised air conditioning systems. Whether you live in a small apartment, a large house or require commercial air conditioning in Perth for your office or warehouse, contact our team today. We offer air condition installation, refit evaporative air conditioning and ducted or reverse cycle air conditioning to existing buildings as well as to projects under construction. We also provide additional consultancy services at no extra charge for double-storey installations. Let the comfort experts at Ambience Air help you find the perfect solution to your heating and cooling needs. Contact our friendly sales team today to arrange a free in-home, no-obligation quote. *Watch our Story and footage courtesy of CH7 Perth and HOME in WA!